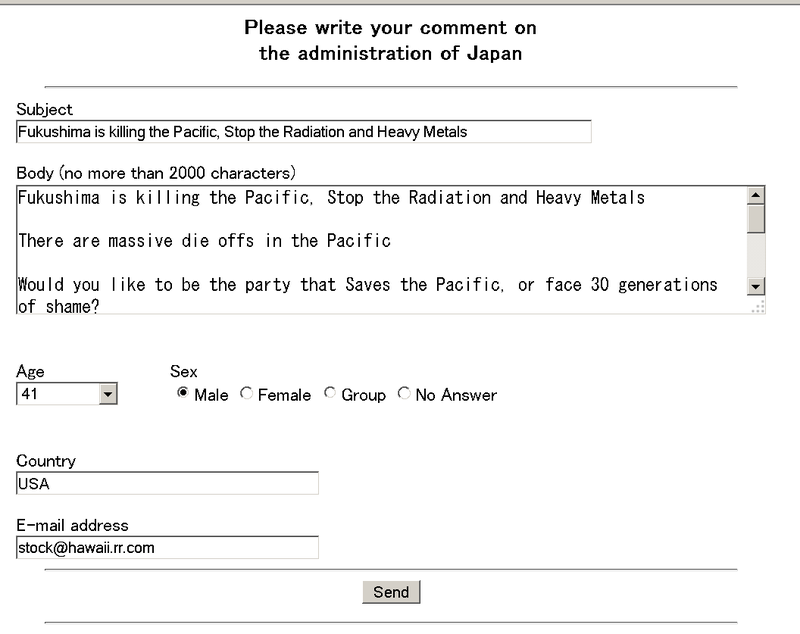 Would you like to be the party that Saves the Pacific, or face 30 generations of shame? Fukushima will cost $600B USD to mitigate damages. Be real men, like the 500,000 men who fought Chernobyl. Claim your legacy, earn the respect of your family name. Ya der eh! Us southerners have no idea what cold is. All joking aside, if we do get a mini ice age, those who can handle it will do fine. The others will be crushed. Hi, I just found out about you from the National Geographic article "Mass Death of Seabirds". 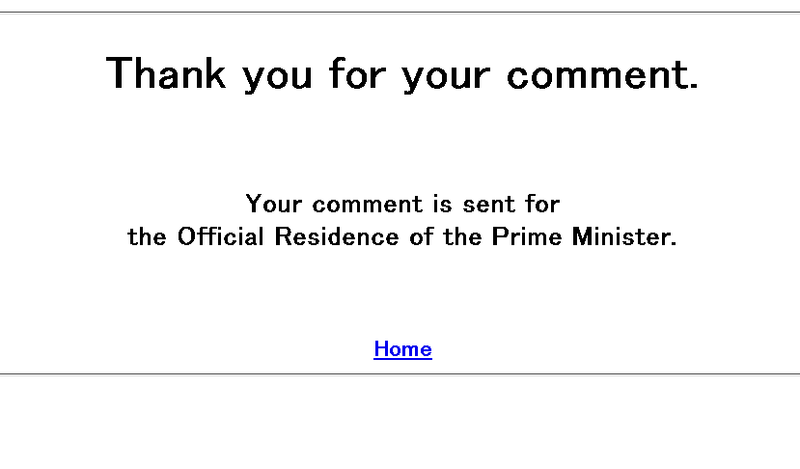 I also sent a msg to the administration of Japan and will send email(s) to embassy's. I appreciate all you have done, wish more help to come your way, and the awareness to get out of media embargo's. It would be a good one for 60 Minutes or even better Frontline on PBS.org. There is also a POV (Point of View) on PBS.org that would bring more awareness on this desperate subject. KEEP THE HOPE as we encourage each other and REPENT to the One who created all life. Thank you. Spread the word, send others here for real information! Review the pages at the top, and use the search box on particular topics. Not everything here is "polished" but it's all true, with any occasional rant thrown in. Quote of Iori Mochizuki (quoting PM Abe): "JP PM Abe “It is not proper to say Fukushima is settled”"